Let’s talk about these sweet potato burgers. When I first saw these online, I became SOOOO excited, and made them as soon as I could. And I was super disappointed as soon as I ate mine. People kept telling me they were great and asking why I hated them so much. It was just one of those days where I really wanted a burger. A big, juicy, MEATY burger. The sweet/veggie thing wasn’t cutting it for me that day. Once I realized this, I concluded that these burgers are actually quite delicious. If you are vegetarian, definitely try these! But for me, I think I prefer sweet potato fries with beefy burgers. Peel sweet potatoes, cut into cubes/chunks, and then bake or microwave until softened. Pour drained beans into mixing bowl. Mash beans and potato together. Mash in lemon-pepper seasoning, flour and agave. Your mixture will be quite soft and moist but you should be able to form a patty. Add more flour or a scoop of breadcrumbs to thicken the mixture if needed. If you want, add an egg or egg whites to the mixture to help form the patty. Freeze patties to firm them up. Preheat your grill to medium. Once the patties are firm, grill ’em up until they are nice and browned. Transfer cooked patties to plate. Cool for a few minutes. 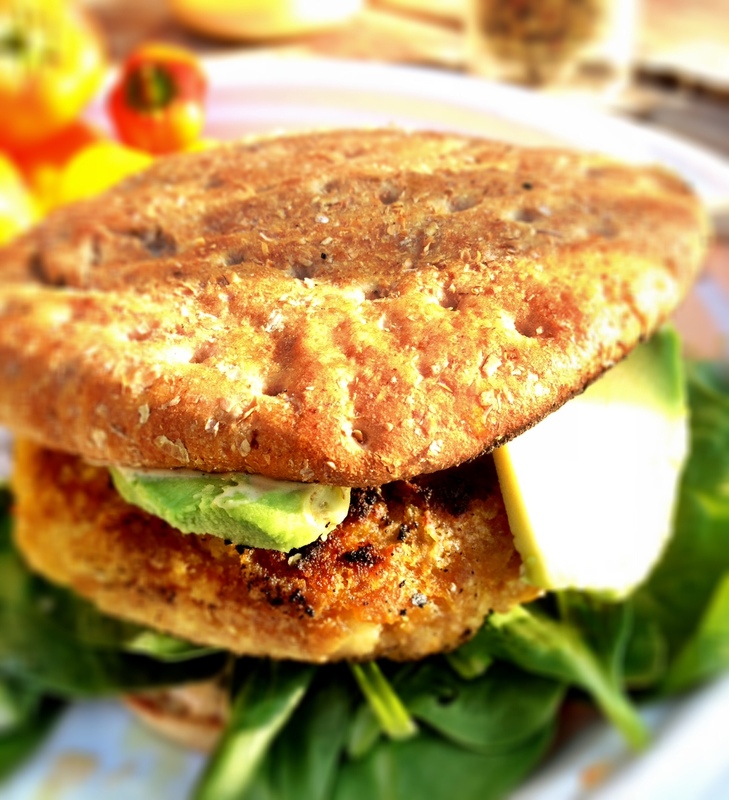 Serve on toasted bun with hummus, avocado and spinach. Makes 7-8 large patties. *Note – you can make these in a pan with a little bit of olive oil, but I didn’t like them as much that way, they seemed a little more greasy. You can keep the patties in the freezer for a week or two and they will still grill up great. I love how you tell it like it is! Some people just like a juicy, meaty burger! Other times you might want something a little lighter.